AIBD in collaboration with its global partners presents the World Television Awards 2018. · Category Humanity for the Best TV Documentary on "Immigration or Migration"
· Category Science/Environment for the Best TV Programme on "Clean Water for Life"
Winners will be presented with their Awards during the Asia Media Summit to be held in New Delhi, India, from 10 - 12 May 2018, a global gathering of broadcasters. The deadline for programme submission is 12th March 2018. 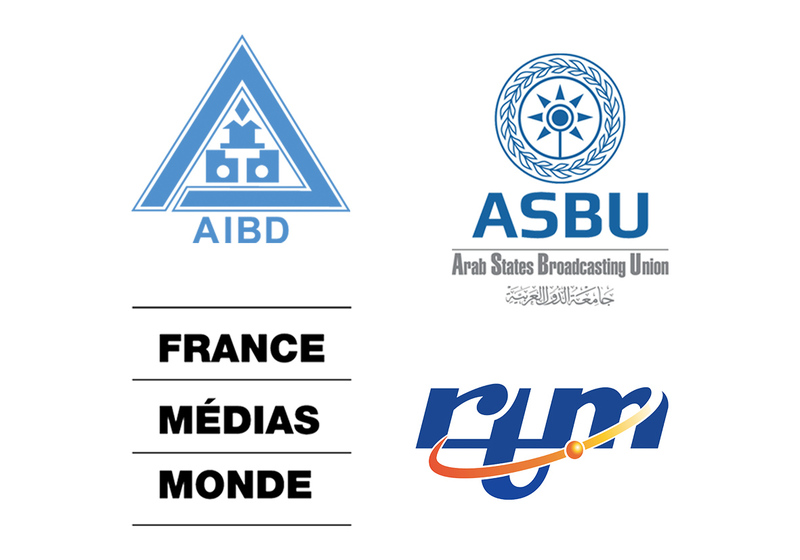 The World TV Awards 2018 are supported by Arab States Broadcasting Union (ASBU), Radio Televisyen Malaysia (RTM), France Médias Monde and Asia-Pacific Institute for Broadcasting Development (AIBD). The winners and runners-up of the World TV Awards 2017 were announced on the 7 June during the Asia Media Summit which took place in Qingdao, China. "Driving the Change”, broadcast by EMTV – Papua New Guinea and directed by Mr Marcos Venditti won the Award under Humanity Category for the Best TV Documentary on "Combating Poverty". Mr Chang Jin, Director of AIBD, and Mr John Maguire, Director of International Relations and Cooperation of France Médias Monde, who jointly announced the winner, presented a trophy and certificate to Mr Venditti. "Earth, Our Only Planet – Rediscovery of Po" directed by Mr Chan Seok Heo and broadcast by EBS – Korea was the winner for the best TV Programme on "Sustainable Energy for All", under the category Science/Environment. Mr Chang Jin and Mr John Maguire presented the trophy and certificate to Ms Hu Mendgie, Marketing Manager EBS – Korea, who represented Mr Chan Seok Heo, who was not able to attend the ceremony. As the Chairperson of the jury for the World Television Awards 2017, Mr John Maguire, explained the selection process of the Awards during the ceremony. The runner-up for the category Humanity was “Field Guide to Innovation – Root of Innovation”, directed by Amelia Su and broadcast by Mediacorp Pte Ltd, Channel NewsAsia, Singapore. “Solar Power: Green Energy for Green Environment", directed by Md Imam Hossain and broadcast by Bangladesh Television (BTV) was the runner-up for the category Science/Environment. The final jury session of the World TV Awards 2017 took place on 4 and at the AIBD office in Kuala Lumpur, Malaysia. The first day was dedicated to the Humanity Award selection, following the next day by the Science/Environment category. Mr Alex Reza Shariman Othman, Director, Corporate Communication Department, Radio Television, Malaysia. The presentation of the World TV Awards will be held during the Asia Media Summit in Qingdao, China from 6-8 June 2017, a global gathering of broadcasters. The names of the winners and the runners-up will be officially announced on the 7 June 2017. The World TV Awards 2017 are supported by Arab States Broadcasting Union (ASBU), Radio Television Malaysia (RTM) and Islamic Broadcasting Union (IBU), France Médias Monde, Asia-Pacific Institute for Broadcasting Development (AIBD). Considering the importance of the topics and anticipating an overwhelming response from Television Programme Producers, the deadline for programme submission of the World TV Awards 2017 is now extended to Friday 28th April 2016, which will be the final deadline.